Shipping orders outside of contiguous US Registration Deadline: June 14, 2019 or when full. 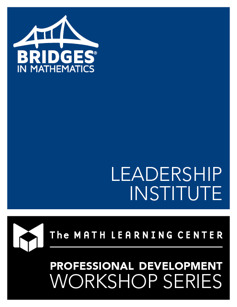 The Leadership Institute is designed for lead teachers, coaches, and curriculum specialists that have implemented Bridges in Mathematics 2nd Edition for at least one full school year. The keynote speakers for 2019 are Jennifer Bay-Williams, Alisa Simeral, Graham Fletcher, Marian Small, Mike Flynn, and Christopher Danielson. In addition to attending these exceptional presentations, you'll have the option of attending two afternoon breakout sessions. These sessions focus on Bridges Intervention, differentiation for highly capable students, coaching, and technology. Visit www.mathlearningcenter.org/denver for more information. Registration Deadline: June 14, 2019 or when institute is full. Understand how to continue a successful implementation of Bridges in Mathematics. Enhance leadership effectiveness by differentiating supervision and coaching practices. Explore ways to encourage the professional growth of teachers. Experience math practices in action. Reflect on math assessments and accurately reporting to families. 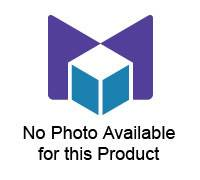 Become familiar with MLC online resources that support administrators, teachers, and families. Network with colleagues from around the country. The hotel has a complimentary shuttle from the Denver Airport. After your flight arrives, call the hotel to schedule a pickup (303-371-4333). If you're driving to the hotel, parking is complimentary in the hotel's parking lot. Driving directions. We've secured a special rate at the Denver Airport Marriott at Gateway Park for institute attendees of $169 per night. To get this rate, click the online reservations link below or call 800-228-9290 and mention The Math Learning Center Leadership Institute 2019. Breakfast is included with your reservation for up to 2 guests per room. Lunch will be provided by The Math Learning Center in the meeting rooms on Tuesday, July 9 and Wednesday, July 10. Dinner is on your own. There is a restaurant within the hotel. It is open for breakfast, lunch, and dinner. Attendees are responsible for their own travel, lodging, and other expenses. You may request a full refund up to 21 days before the event start date, after which no refund will be given for any reason. Cancellation and refund requests must be emailed to Ana Butler at anab@mathlearningcenter.org. Groups of 4 or more people are eligible to receive a discounted rate of $600 per registration. This discount is automatically applied when you purchase 4 or more registrations at once. To receive this discount, 4 or more registrations must be purchased at the same time, in the same transaction. Discounts cannot be applied retroactively to prior purchases.